NASHVILLE, Tenn. (AP) — Two Tennessee environmental groups are asking the U.S. Supreme Court to weigh in on whether the federal Clean Water Act applies to pollution from a coal ash dump. SEYMOUR, Ind. (AP) — Workers installing sewer lines across a southern Indiana farm unearthed the fossilized bones of a mastodon that likely stood about 9 feet (2.7 meters) tall. ANCHORAGE, Alaska (AP) — An Alaska man who stole a fossilized woolly mammoth tusk and sliced it into pieces for resale will serve nearly three years in federal prison. CARBONDALE, Ill. (AP) — Geologists at Southern Illinois University are asking Illinois elementary and high school students to name its three baby dinosaurs. NASHVILLE, Tenn. (AP) — A federal utility is eying options to unearth and move toxin-laden coal ash from a Memphis power plant to an off-site landfill. CHATTANOOGA, Tenn. (AP) — A coal investor has offered to purchase a Tennessee Valley Authority plant in Kentucky that's slated for closure next year. ALAMOGORDO, N.M. (AP) — A 300 million-year-old plant-eating reptile fossil is returning home to southern New Mexico. HELENA, Mont. (AP) — The Montana House of Representatives has unanimously passed a bill saying fossils are part of a property's surface estate and not the mineral estate. FRANKFORT, Ky. (AP) — A federal utility board voted Thursday to close a coal-fired power plant in Kentucky, rejecting pleas from President Donald Trump and U.S. Senate Majority Leader Mitch McConnell and handing the coal industry a defeat in its backyard. HELENA, Mont. (AP) — A legal challenge over the ownership of valuable dinosaur fossils unearthed on an eastern Montana ranch has prompted legislation seeking to clarify that fossils are part of a property's surface rights, not its mineral rights. WASHINGTON (AP) — How did the earliest land animals move? Scientists have used a nearly 300-million-year old fossil skeleton and preserved ancient footprints to create a moving robot model of prehistoric life. JOHNSON CITY, Tenn. (AP) — East Tennessee State University says its researchers have discovered fossils of two extinct prehistoric, pig-looking species that previously had never been found in the Appalachian region. The university says the species of peccaries were identified in the fossil-rich clays of the Gray Fossil Site, once a large pond surrounded by forest dating back about 5 million years. GRAY, Tenn. (AP) — East Tennessee State University scientists have discovered the remains of two different extinct species of ancient peccaries at the Gray Fossil Site. According to the school, peccaries, also known as javelinas, are medium-sized omnivorous animals with small tusks. They look something like pigs but are actually unrelated. CHICAGO (AP) — The largest Tyrannosaurus rex skeleton ever found is ready to go back on display at Chicago's Field Museum in a new exhibition space. The skeleton named Sue (after her discoverer, Sue Hendrickson) is now in a second-floor gallery near other dinosaurs. It opens to the public Friday. BISMARCK, N.D. (AP) — The North Dakota Geological Survey is expanding its well-received fossil dig program. FORT WORTH, Texas (AP) — A Texas physician can keep his 70 million-year-old dinosaur skull fossil in an ownership fight with the U.S. government. The Dallas Morning News reports a judge in Fort Worth on Monday agreed with Dr. James Godwin of Wichita Falls. ALBUQUERQUE, N.M. (AP) — The earliest known example of a plant-eating reptile has been found in the fossil record in southern New Mexico, the New Mexico Museum of Natural History said. The museum made the announcement this week , saying the unique structure of the skull, jaws and teeth of the sail-backed reptile indicate it was an herbivore, and that such specialized plant-eating wasn't previously known in reptiles older than about 200 million years. PORTLAND, Ore. (AP) — University of Oregon scientists discovered a dinosaur bone, the first fossil from a land-dwelling prehistoric creature found in the state. HELENA, Mont. (AP) — About 66 million years after two dinosaurs died apparently locked in battle on the plains of modern-day Montana, an unusual fight over who owns the entangled fossils has become a multimillion-dollar issue that hinges on the legal definition of "mineral." 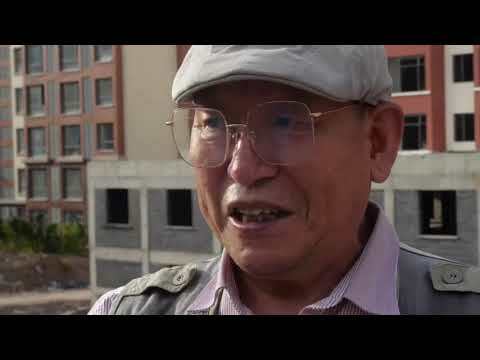 YANJI, China (AP) — At the end of a street of newly built high-rises in the northern Chinese city of Yanji stands an exposed cliff face, where paleontologists scrape away 100 million-year-old rock in search of prehistoric bones. Like many fossil excavation sites in China, this one was discovered by accident. RIO DE JANEIRO (AP) — One of the most prized possessions of Brazil's National Museum has been found amid debris after a massive fire on Sept. 2 sent the building up in flames. Museum director Alexander Kellner told The Associated Press that a fossil named "Luzia" was recuperated. Kellner said the fossil was broken and that 80 percent of its pieces had been found. WASHINGTON (AP) — What were billed as the oldest fossils on Earth may just be some rocks, according to a new study. Two years ago, a team of Australian scientists found odd structures in Greenland that they said were partly leftovers from microbes that lived on an ancient seafloor. They were said to be 3.7 billion years old, which suggests life formed quicker and easier than thought after Earth formed. GREENFIELD, Mass. (AP) — Amateur paleontologists can head to western Massachusetts this weekend for the Great Greenfield DinoFest. The second annual festival Saturday celebrates the Pioneer Valley's dinosaur history by blending history, science, and art for a day full of activities. The area is famous for its dinosaur fossils. The event is a partnership between the Pocumtuck Valley Memorial Association and Piti Theatre. NEW YORK (AP) — Scientists say they've confirmed that puzzling fossils from more than 500 million years ago are traces of an animal. That would make it one of the earliest known creatures. The fossils are impressions in rock: oval shapes with internal lines, looking somewhat like a leaf imprint densely packed with veins. First described in 1947, they are found in Australia and Russia and range in size from a fingernail to some 4 ½ feet (1.22 meters) long. RIO DE JANEIRO (AP) — Brazil's National Museum in Rio de Janeiro, which suffered a massive fire late Sunday, boasted the largest archive of historical artifacts and documents in Latin America, some 20 million pieces from around the globe. Museum officials say it's too soon to say what has been lost or spared. RIO DE JANEIRO (AP) — Brazil's National Museum in Rio de Janeiro, which suffered a massive fire late Sunday, boasted the largest archive of historical artifacts and documents in Latin America, some 20 million pieces from around the globe. Museum officials say it's too soon to say what had been lost or spared, as firefighters were still putting out ambers and assessing whether it was safe to enter. POWELL, Wyo. (AP) — Scientists report finding several different fossils at a site that now lies beneath a Wyoming reservoir. They include bones of a horse, bison, camel and a creature similar to a deer called an artiodactyl. The Powel Tribune reports the fossils date roughly to the Pleistocene, the era of ice ages between 2.5 million and 12,000 years ago. LARGO, Fla. (AP) — Twenty-something years ago, James Pendergraft took a reporter to a fossil site in Polk County. On that day, he was dazzling, spotting and identifying the ribs and teeth of extinct dugongs and sharks and mammoths. Now, in 2018, he walked Indian Rocks Beach, scanning for forgotten flip flops, washed-up foam buoys and cheap sunglasses. This had become part of his ritual, most days around sunrise. MOSCOW (AP) — Russian scientists have found the carcass of an ancient foal perfectly preserved in the Siberian permafrost. The fossil discovered in the region of Yakutia has its skin, hair, hooves and tail preserved. Yakutia is also famous having wooly mammoth fossils found in the permafrost. Scientists from Russia's Northeast Federal University who presented the discovery Thursday said the foal is estimated to be 30,000 to 40,000 years old. They believe it was about two months old when it died. MOBILE, Ala. (AP) — Police in Alabama are trying to find the owner of an old briefcase that was filled with what appears to be ancient fossils, teeth, and crystals. Photos released by police Wednesday show what appear to be fossilized fish, animal teeth, geodes, a large shell and a small human mask carved from clay or something similar. A citizen found the brown bag in Mobile recently and took it to a police precinct office, said police spokeswoman Charlette Solis. BERLIN (AP) — Scientists say they've found the remains of a prehistoric female whose mother was a Neanderthal and whose father belonged to another extinct group of human relatives known as Denisovans. The 90,000-year-old bone fragment found in southern Siberia marks the first time a direct offspring of these two groups has been discovered, according to a study published Wednesday in the journal Nature. LAWRENCE, Kan. (AP) — University of Kansas bone hunter Kris Super prowled the base of steep-edged hills in the Hell Creek formation for evidence to solve mysteries millions of years in the making. PINE BLUFF, Ark. (AP) — Jefferson County-based Wyco Games has launched a new board game dubbed "Fossil Find" that company President and CEO Trey Wyatt said came about after he dabbled with several different ideas over the past couple of years. Fossil Find is a domino-based board game that places players in the mind of a paleontologist as they make their way around the game board collecting, trading or ditching the numerous artifacts they come in contact with during the game.